“In Flanders Fields the poppies grow, between the crosses row on row…..” the most famous poem about World War 1 was written by Canadian surgeon Major John McCrae in response to what he saw at Ypres. Bright red poppies grow wild here, apparently you can still see them blooming every spring around the little Belgian town like drops of blood on the landscape. 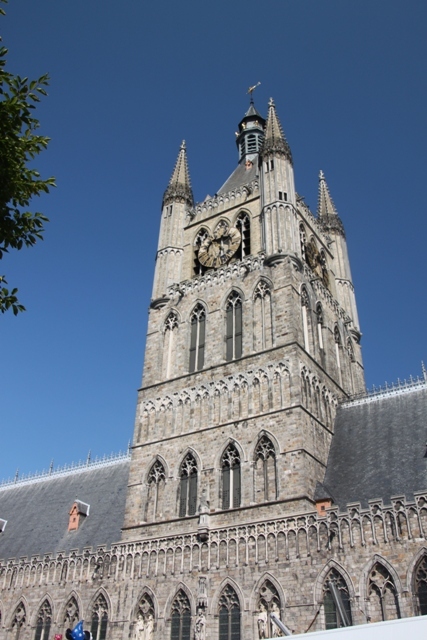 These days Ypres is pretty and civilised – more about that in a later post – and just about 45 minutes easy drive from Bruges. 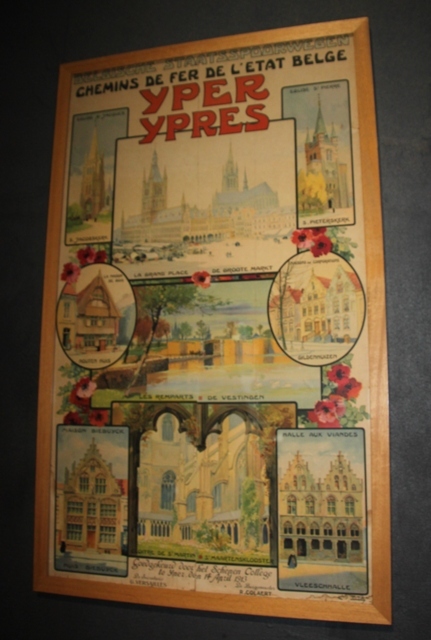 We originally planned to spend one day in Ypres and the battlefields surrounding the town. So much to see, so much to absorb and such haunting history, we actually returned the next day as well. 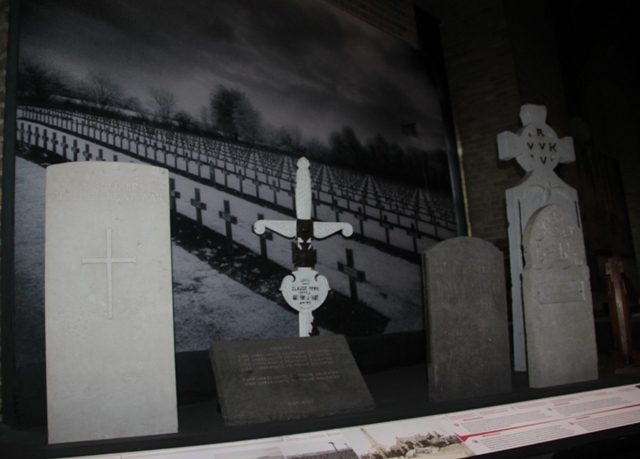 Thought provoking at every turn, Ypres is a place everyone should visit sometime. 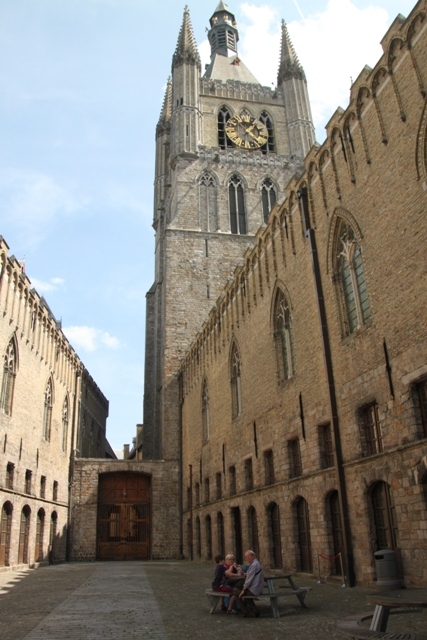 Our first stop was the main square, dominated by the Gothic tower of the Cloth Hall and very easy to find. 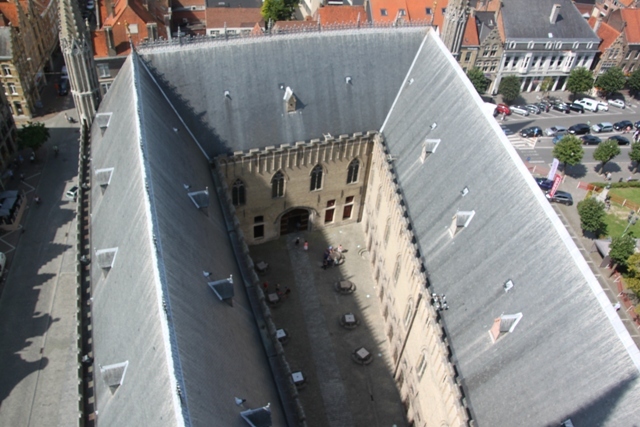 Impressive for sure, this building in Medieval times was where they stored wool bought from England. It was ruined in the war but is now rebuilt and restored to its former Medieval glory. 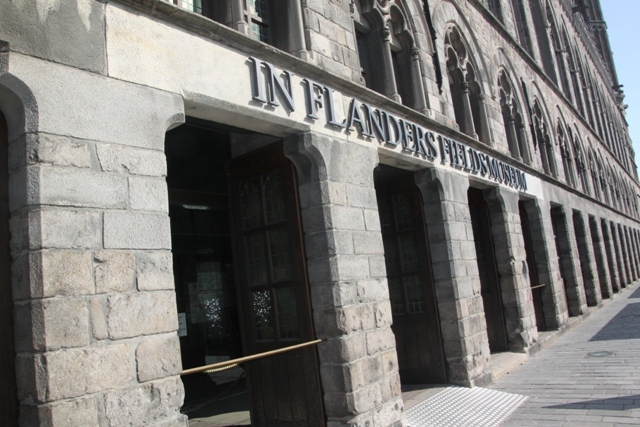 Inside is the museum “In Flanders Fields” covering the whole of World War 1 and as this was our first visit to the battlefields I thought there would be no better place to start. I was right. The museum is fascinating and gives a full overview of the horrors of that conflict and with its focus on real people and their stories, puts the war into a very human context. We were given poppy bracelets as we went in and instructed how to customise these at the entrance. Details such as your age, gender and home-town meant later, in various places throughout the museum, you could swipe the bracelet and listen to different war stories about different people with some sort of connection to you – usually they were from the same town. Son found this engrossing, the children’s stories he heard were moving, emotional and became ingrained in his memory. This was a history lesson like no other. 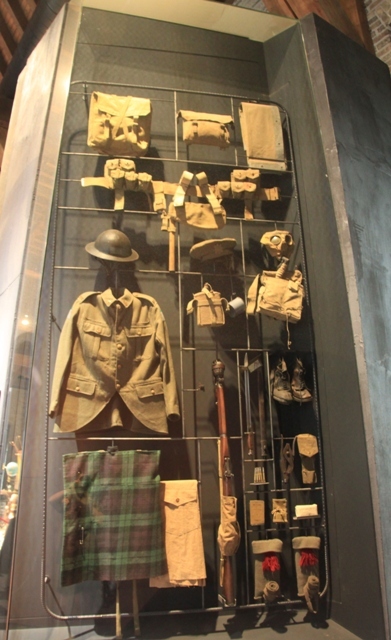 The museum walks you through the World War 1 war years one by one. There is so much to look at, so much to read, so much to absorb. I was especially taken with a film told from the point of view of a doctor and two nurses on the front. Haunting stuff. 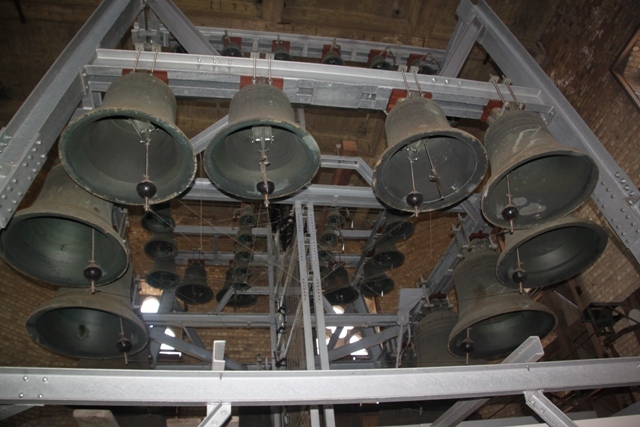 Right in the middle of the museum is the Bell Tower. For a small extra charge you can climb to the top – we did this and enjoyed it. 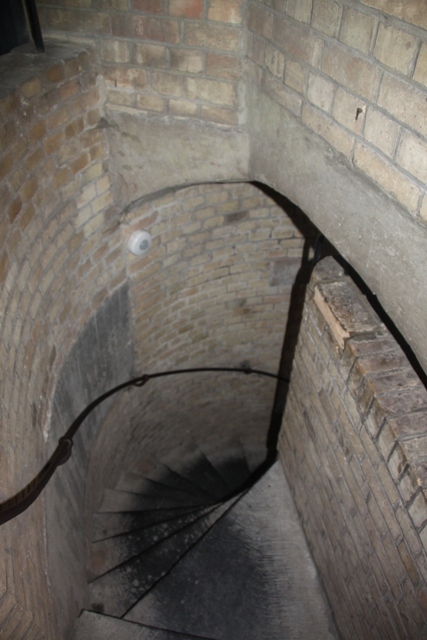 Quite a few steps to ascend, we were glad of the occasional breaks to look at the bells and find more information on them. 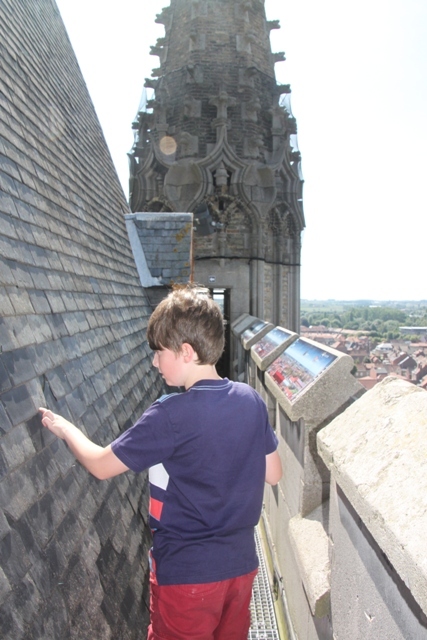 We actually heard the carillon strike the hour while we were up top – loud but great. Wonderful views from the top over the little town and beyond. 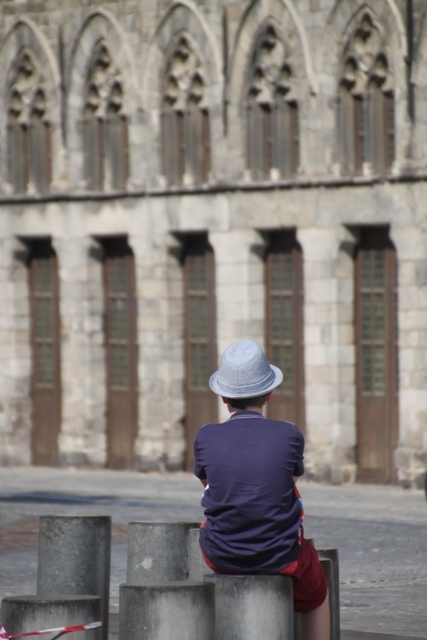 Son also became fascinated by the tale of the Cat Parade in Ypres. In Medieval times they tossed a cat into the square from the towerr to ward off evil. They still do it today – with a toy cat! Back down again we continued with the rest of the World War 1 story. Sombre and sobering but a museum I am very glad we visited. Awesome post! I’ve always wanted to visit the European battlefields. It is very sombre but very compelling and unforgettable. I can see why you returned the next day Joy. Lovely photographs. Thank you!! This was an experience like no other, not meant to be rushed and taken at a slow pace. There is so much to take in. It was both of those for sure Erika!! The view was wonderful, not so sure about throwing a cat from up top though!!! Thank God, they are not doing it with a real cat anymore…!!! Hehe… Medival times were so cruel! In many ways, this must’ve been a very difficult museum to get through–such sad, tragic history. And yet, it would be a place we all should experience. Totally agree Kerry – visiting a museum like this really hits home the sadness of war. I’m glad we got the chance to visit though. What a great idea the customisable bracelet. This is the first I have heard of such an innovative idea for a museum. I thought it was a great idea too, plus you got to keep it which made for a nice little souvenir. Really interesting. 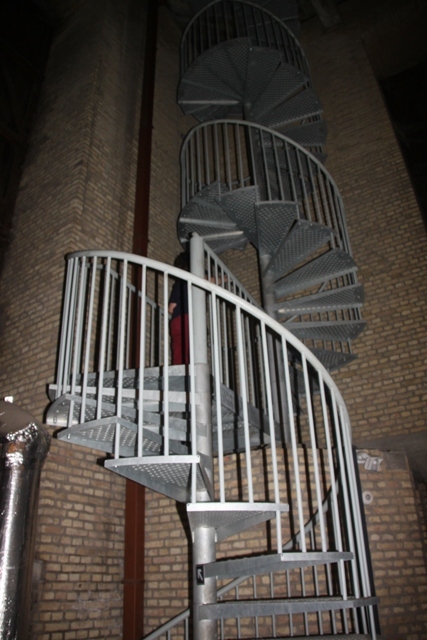 We meant to do this when we were in Bruges but we’re so seduced by its prettiness that we never got round to it. Next time! Despite having lived in Belgium for a year and countless other trips back over time, this was my first visit to this area too so I know what you mean Anabel. However I definitely recommend you go when next you’re back, interesting, moving and an incredible place with so much history. It must be. I imagine it’s like going to Berlin and seeing all the 2WW memorials and museums – fascinating but very draining. This sounds like an amazing museum. I really to get there someday. Thanks for the great blog and photos. 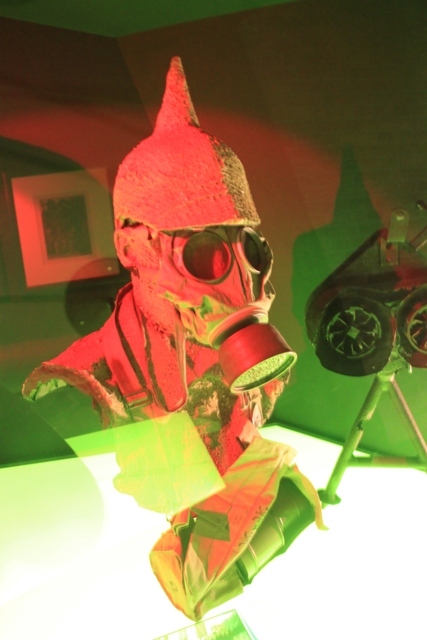 It’s the kind of museum you would never forget, haunting but very special. What a sobering place to visit. We went to Lt Col McCrae’s home in Canada. Needless to say, the garden was awash with poppies. It was beautiful. Would love to visit his home in Canada – one for my list!! 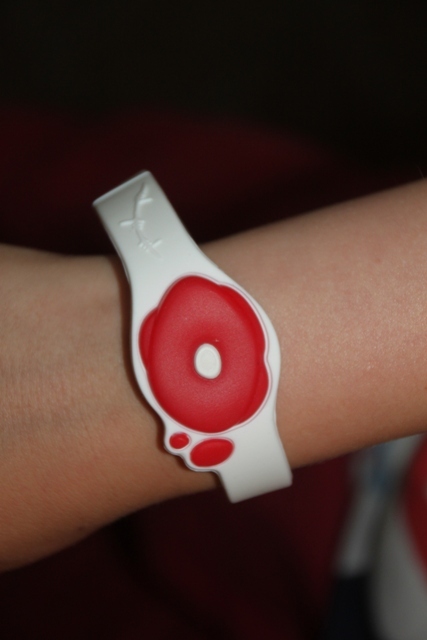 We loved the poppy bracelet too, a nice keepsake. Enjoyed the photos… in the olden days I wouldn’t want to be down in the square when that cat landed on your head… that would be evil indeed! Me neither!!! Our son was tormented by this – he kept thinking of our kitty at home!! 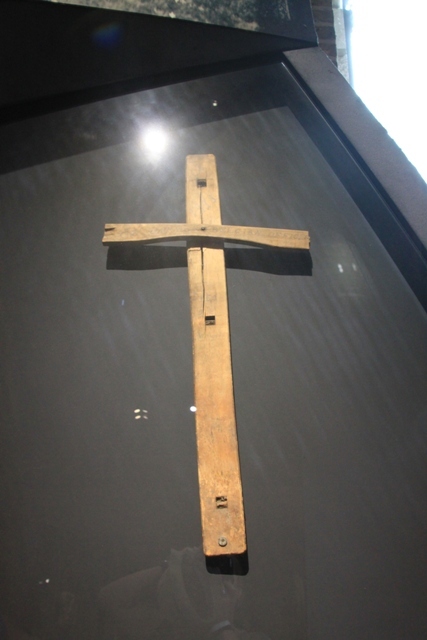 I just said to my husband this morning we need to visit the WWI museum in Kansas City and now I’ve read your post and I’m more determined to educate myself on this conflict that led to the next one. I’ve probably missed some of your posts recently (eye surgery) so I need to catch up. Thanks for a thought provoking post. This was a great place to visit, sad and sombre but utterly fascinating. I’m sure the museum in Kansas would be just the same. We visited the war graves and battle sites after this museum, an unforgettable if slightly harrowing experience but one I wouldn’t have missed!! Hope the surgery went well and you’re on the mend!! That looks like a really interesting place to visit. I have to say that living in America I never really understood the extent of the world wars, it’s a much different experience to see where they happened and the evidence for yourself. This was a great place to get an indepth understanding of the events that led to WWI and the war years that followed. We all found it fascinating but sad at the same time. Marvelous post! So impressed by the IT bracelet used at the museum. Thanks for sharing. We loved the bracelet too – especially since you got to keep it as a souvenir! That looks like a fantastic place to visit and a very powerful experience. As a family historian, I have a long, long list of war dead from my family and have always intended to visit the WW1 battlefields but never got around to it – waiting until the kids got older and then, doh, we emigrated. It is high up on my To Do list, however, and you have just added to my reasons to go. It really is an unforgettable experience Laura – I definitely recommend when you get the chance. 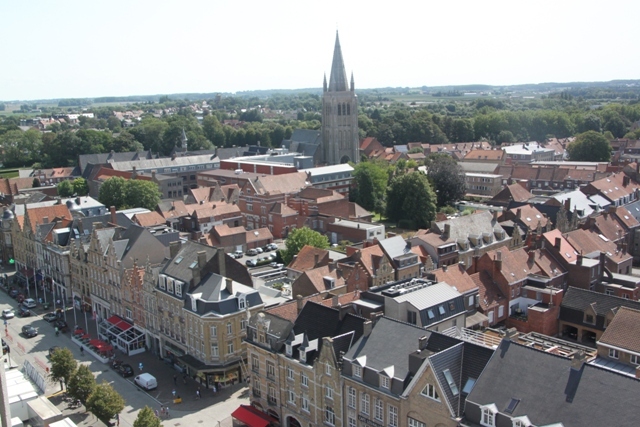 Ypres and the whole area is full of incredible history and such sad stories, we found it incredibly moving and as you say, a very powerful experience. It is an incredible place George, very beautiful but very powerful, I’m so glad we got the chance to visit. Very interesting place, beautiful photos. Joy, since I love museums and history, I know that I would enjoy! Thanks for taking me on this sobering journey! It was such an incredible museum Pam, so moving and so memorable. Thank you for this post. I haven’t visited Ypres, but I did visit parts of the Maginot Line a few years ago and it was almost unbearably poignant… but it’s so important that we never forget this time in our history. Completely agree Susan, so important to visit these places, remember and reflect. Haven’t been to the Maginot Line but would like to do that too. 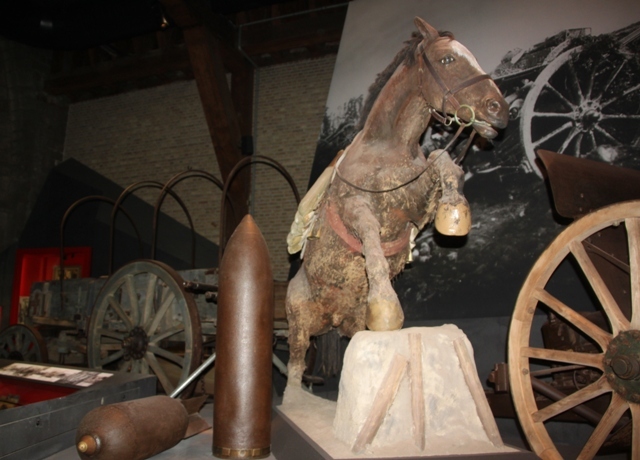 I went to this museum when I was in Ypres four years ago – I still think about the experience a lot, and get goosebumps when I remember how sobering and haunting it was. Needless to say we went immediately for Belgian waffles after the experience to cheer us up! That’s the perfect pick-me-up – nothing like waffles in Belgium. Our son ate almost his body weight in those things!! 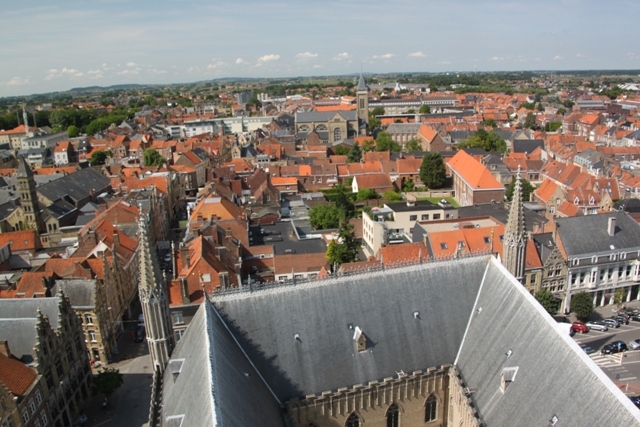 Unfortunately we didn’t have time to visit the poppy fields when we stayed in Bruges, Joy, so I’m very interested to read about it here in your post. 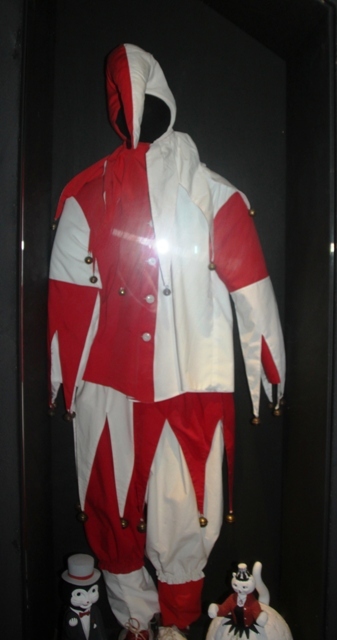 The museum must have been a haunting place in many respects. I know my late nanna went to the Belgian poppy fields on her only visit abroad (she lived to be 100!) with her brother who was the only surviving member of his platoon in battle. It must be a sobering place and a topical article this week with the tragic consequences of war so much in the news. It’s so important to reflect and remember about these things. What an unfortunate thing to happen to those cats – I’m very glad they just use a toy one these days! Fantastic photos of your trip as always! You must have good genes Rosemary – living to 100 is quite an achievement. How wonderful she went here on her only visit abroad. We found it such a wonderful place to visit, fascinating history and very sobering but utterly compelling. I agree absolutely, we have to remember and reflect and bring the next generation to places like this too. 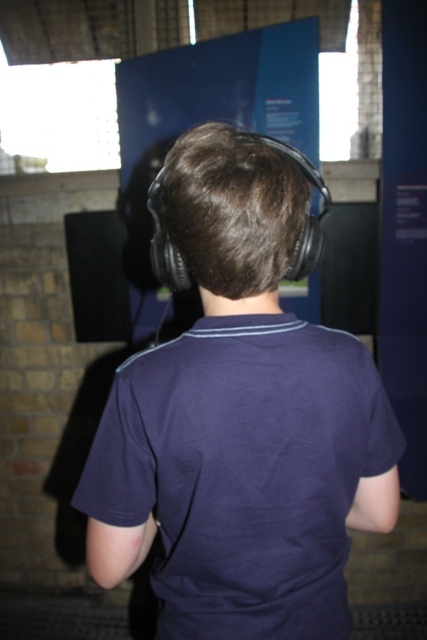 The cats were an interesting little aside – our Son was a bit distraught until he read about the toy ones!! Visions of our kitty flying over the tower were running through his head I think!! My nanna was quite a formidable lady Joy – she was determined to get to 100 and get her telegram from the Queen!! In those days people didn’t travel abroad much so it was a big thing for her to have done and poignant as you say. She also was a huge cat lover so I hope she didn’t read about the cat tradition – I can understand how your son must have felt (not sure it’s too nice for toy cats either but it’s obviously a special tradition!). Beautiful shots, Joy. Keep up the good work.